Properly Inflated Tires = Deflated Gas Prices – A properly inflated tire can improve your gas mileage by 4 percent. Clear The Air – Simply replacing dirty or clogged air filters can improve gas mileage by as much as 14 percent! A Well-Oiled Machine – By changing your vehicle's oil regularly and keeping it properly lubricated, you can gain another mile per gallon. Rekindle the Spark – A misfiring engine wastes fuel, so replace dirty spark plugs and improve your mileage by two miles per gallon. Put a Cap on It – A loose gas cap will allow gas to vaporize. Next time you're at the pump, double check that your gas cap is nice and tight. De-Junk the Trunk - Doing a little spring cleaning in your trunk can increase your gas mileage by as much as 2 percent. Cruise to Savings – Fuel economy worsens rapidly above 60 mph, so observe the speed limit and save some gas. Easy Does It – Aggressive driving and/or quick starts and stops can lower gas mileage by 33 percent on the highway and 5 percent in the city. Consolidate trips- A longer multipurpose trip uses half as much gas as several short trips taken from a cold start. Avoid Idling – When a car is idling, it gets 0 miles per gallon. Remember, a well-tuned engine runs more efficiently. The best thing you can do for your gas mileage and you car’s longevity is to get regular tune-ups. 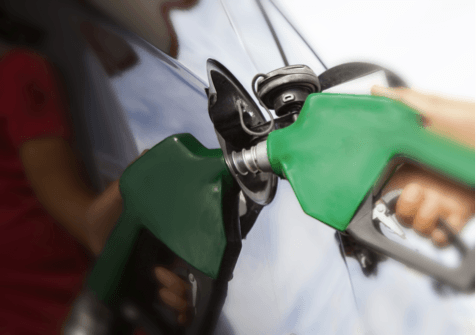 According to the Car Care Council, 60 percent of people claim that rising gas prices have changed their driving behavior. Furthermore, 90 percent say that they drive less and 75 percent say that they are maintaining their vehicles better. Shouldn't you be one of them? Regular maintenance and repair is the best way to ensure maximum safety and reliability of your vehicle, and it can save you quite a bit of money in the long run. According to the Car Care Council, 8 out of every 10 vehicles failed at least one component of their inspection during last year's National Car Care Month—that's an 80% failure rate of vehicles on the road! Help us lower that statistic and make the roads safer by bringing your car in for a tune-up during National Car Care Month. Remember, you can schedule service with us 24/7! Give us a call or visit our website to schedule an appointment. For more information about National Car Care Month, you can visit the Car Care Council's website.